A visit to a restaurant or buffet table presents us with an array of choices. People with a sweet tooth might choose a decadent dessert, while a meat eater might favor a prime cut of beef. Each person creates a meal to suit their individual tastes. Over time, a similar thing happens with regard to faith. Our beliefs can become a blend of diverse world views, merged philosophies, and personal preferences. But how do we learn to distinguish homemade religion from genuine truth? 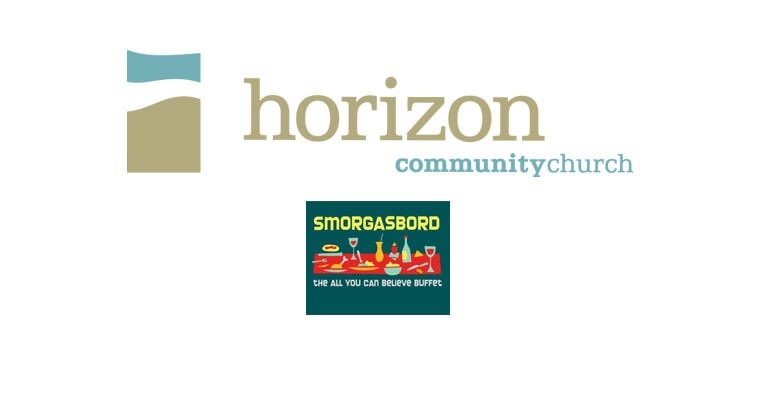 Join Horizon for answers in our new Exploring series, Smorgasbord: The All-You-Can-Believe Buffet, May 1st through June 5th.